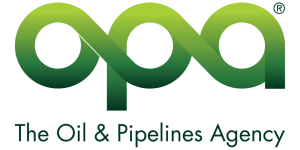 Welcome to The Oil & Pipelines Agency (OPA) Procurement Portal which provides opportunities for the supply market to review and respond to current opportunities. The Oil Fuel Depots (OFDs) are assets held on behalf of the Crown by the Secretary of State for Defence (SofS). The OPA has, in its capacity as agent to the SofS, responsibility for the management of these OFDs. This Portal relates to the management and control of the acquisition of supplies, services and works across the whole Agency in support of these OFDs. This portal provides a secure, efficient, transparent sourcing and tendering process while saving time and effort for buyers and suppliers. Suppliers are able to register on the site and receive alerts when opportunities arise including Request for Quotations (RFQ’s). OPA Procurement ensures that the OPA lets competitive contracts for all purchases and operates procurement activities in accordance with relevant legislation and guidance.